The major results from SMM are presented as they relate to our understanding of the energy release and particle transportation processes that lead to the high-energy X-ray aspects of solar flares. 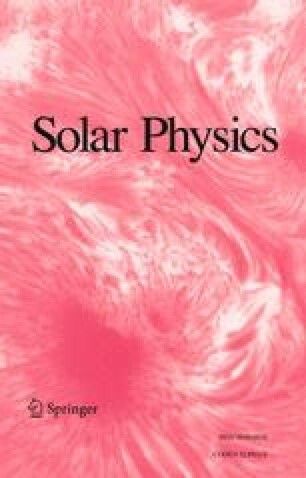 Evidence is reviewed for a 152–158 day periodicity in various aspects of solar activity including the rate of occurrence of hard X-ray and gamma-ray flares. The statistical properties of over 7000 hard X-ray flares detected with the Hard X-Ray Burst Spectrometer are presented including the spectrum of peak rates and the distribution of the photon number spectrum. A flare classification scheme introduced by Tanaka is used to divide flares into three different types. Type A flares have purely thermal, compact sources with very steep hard X-ray spectra. Type B flares are impulsive bursts which show double footpoints in hard X-rays, and soft-hard-soft spectral evolution. Type C flares have gradually varying hard X-ray and microwave fluxes from high altitudes and show hardening of the X-ray spectrum through the peak and on the decay. SMM data are presented for examples of type B and type C events. New results are presented showing coincident hard X-rays, O v, and UV continuum observations in type B events with a time resolution of ≤128 ms. The subsecond variations in the hard X-ray flux during ≲ 10% of the stronger events are discussed and the fastest observed variation in a time of 20 ms is presented. The properties of type C flares are presented as determined primarily from the non-imaged hard X-ray and microwave spectral data. A model based on the association of type C flares and coronal mass ejections is presented to explain many of the characteristics of these gradual flares. 1.Laboratory for Astronomy and Solar Physics, NASA Goddard Space Flight CenterGreenbeltU.S.A.